Today a different Dragonstone poll has launched: Combat Level Calculation. We’re asking you which combat level formula you’d choose to be part of a basis to have an updated calculation. This poll covers the whole game and isn't just for a Legacy Mode. 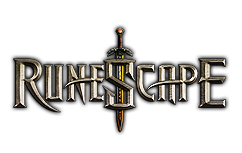 Using the Chance to the Players polls plus the Combat Improvements Beta, there’s been a great deal of community discussion about combat, plus a big topic continues to be the combat level calculation. We’ve even held some unofficial strawpolls around the forums (find them here and here) to have a perception of all your other worries around the issue. It’s pretty clear that the current combat level calculation isn't working very well, and many individuals have requested a poll over it. That’s what on earth is starting today. Town are already energetically discussing which combat level formula they prefer and as well what improvements may very well be designed to it. So we’re about to split the polling into two stages: the 1st which starts should be to establish the foundation money formula – that old 138 or even the current 200. Once that is decided, your second stage will be to establish whether any refinements needs to be made. The most used community requests will put up for vote in a subsequent poll. We’ve thought we would maintain the initial choice between two known calculations, rather a possibility to start out yourself with something completely new. There’s been recently difficulty changing for this ‘200’ formula, and making everyone relearn something brand spanking new would not be hanging around’s best interest. I also believe that any benefits you can easliy get from your fresh formula may very well be made through refinements to an existing formula. The poll has begun today and may run a couple weeks until the 28th February. Log to the game now to cast your vote!